The execution of Ronnie Lee Gardner, if carried out, would be a tragic miscarriage of justice. The trial jury in this case never heard the extensive evidence of Gardner’s deprived and abusive childhood, nor of his brain damage. If they had, Gardner would not have received the death penalty. See the declarations of original jurors in Ronnie Lee Gardner’s Case here. Gardner’s trial counsel failed to do a mitigation investigation in this case and present that information to the jury. If he had, the result would have been different. The State of Utah would not be gearing up to kill Gardner. On appeal in state court, a lawyer representing Gardner without charge conducted an evidentiary hearing to demonstrate that Gardner’s trial counsel had failed to investigate and present mitigating evidence. That appeals lawyer requested funding to investigate the case and hire expert witness. Funding was denied because, at that time in Utah, Gardner did not have a statutory right to the appointment of a lawyer to help him with his appeal and so was not entitled to state-compensated experts and investigators. Utah State Judge Uno concluded that Gardner’s trial lawyer had provided ineffective assistance of counsel by failing to investigate and present mitigation evidence to the sentencing jury. Accordingly, Judge Uno ordered a new sentencing hearing. The State appealed and the Utah Supreme Court reversed the grant of a new penalty hearing, finding that Gardner’s attorneys (lacking any funding) had not shown what favorable evidence could have been presented. Then Gardner pursued his challenge in federal court, where he was appointed counsel and granted funding for experts and investigators. The federal court held an extensive evidentiary hearing in which Gardner’s new counsel presented a wide range of mitigating evidence which had never been heard in the state court because Gardner’s trial counsel failed to pursue any mitigation investigation and because, on appeal, the state court denied any funding. During Gardner’s most formative years, from birth until he was hospitalized in the State Hospital at age 11, the household in which he lived was replete with neglect, physical violence, sexual abuse, drug abuse and criminality. Gardner was so neglected as a very young boy that he was taken out of his home for a period of time. He was so neglected by his mother and her various husbands and boyfriends (some of whom were involved in criminal activities), that at one point, Ronnie was found wandering the streets alone at age two, wearing only a diaper. As a young boy, Gardner was enlisted by a step-father to aid him in a burglary. Gardner was sexually abused by an older brother, and then later he was sexually abused by his foster father. When only five or six years old, Gardner sniffed glue, gas, and paint thinner after being urged to do so by his siblings. He was addicted to sniffing glue by age 10. His use of inhalants was continuous until he reached the age of eighteen. The sniffing of such substances is often the cause of serious brain injury. Gardner was also given LSD, marijuana, alcohol and other drugs before the age of 10. Inhalant and drug abuse has a highly detrimental impact on the development of a child’s brain and can lead to significant cognitive disability in adulthood, including serious problems with impulsivity and temper. Gardner had meningitis at age four, and his brain swelled, causing brain damage, which experts indicated results in diminished impulse control. Gardner also had a head injury in a severe car accident. Several experts examined Gardner and concurred in finding organic brain damage. Radiological testing revealed lesions on his brain. Federal Judge Sam found that Gardner’s trial counsel’s performance was legally deficient by failing to investigate and present this extensive evidence of abuse and brain damage to the jury at Gardner’s sentencing, Ultimately, however, the Tenth Circuit ruled that Gardner’s claim for relief was procedurally barred because he had already raised the argument in state court and the Tenth Circuit deferred to the Utah Supreme Court’s ruling that although Gardner’s trial counsel’s performance was deficient for failure to investigate and present mitigation evidence, Gardner had failed to prove he was prejudiced by not having this mitigating evidence presented. In other words, Gardner failed to show that at least one juror would have voted against the imposition of the death penalty. Now, in fact, four of the original jurors in Gardner’s trial have come forward in Gardner’s behalf. One juror said that if he had known about Gardner’s extensive history of child abuse and brain damage he would not have voted for the death penalty. That alone would have made all the difference. A second juror was nine months pregnant at the time of the trial and testified before the Board of Pardons and Parole that she never wanted to vote for death but eventually relented under duress from other jurors. Two other jurors also say that the additional information about Gardner’s childhood may have changed their minds about the sentence. In summary, Ronnie Lee Gardner never had a fair sentencing hearing. Gardner’s trial attorneys’ performance was recognized by everyone, including the trial and state courts, to be legally deficient. But in his Utah state habeas appeal, Gardner’s appellate attorneys were denied funding to investigate his case and present experts in his defense. It was not fair to say that they did failed to provide the additional evidence when they were denied funding to do so. Then in federal court, Gardner’s new attorneys did get funding and did find and present dramatic evidence of abuse, neglect, and brain damage, which the jurors who sentenced Gardner to death say would have changed the outcome. Under the circumstances of a tragically deprived and abusive childhood, and a tragically flawed appellate process, Gardner’s execution now will be tragically unjust. Even people who favor the death penalty in principle agree that an accused is entitled to competent attorneys and should have a fair trial. 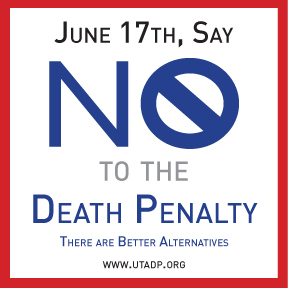 We at Utahns for Alternatives to the Death Penalty are not asking that Gardner’s conviction be overturned, only that he be granted a new sentencing hearing at which a jury can hear all of the relevant information before imposing sentence. At the very least, justice and fairness demand that a new hearing be held. This case is but one of many examples of how the death penalty system is irreparably broken. 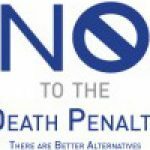 When people are executed because they are poor, because their attorneys neglected to provide adequate representation, and because the resources were not otherwise available for them to present their cases to the jury and to the appeals courts, we all have a moral duty to call for alternatives to state-sanctioned killing.